Product prices and availability are accurate as of 2019-04-15 19:28:00 UTC and are subject to change. Any price and availability information displayed on http://www.amazon.com/ at the time of purchase will apply to the purchase of this product. Take Only 2-3 Fenugreek Seed Capsules Per Day Milkflow's high potency formula packs 3,600 mg of Fenugreek Seed Extract (concentrated at 10:1) into each serving plus Blessed Thistle and other herbs known to help naturally promote healthy breast milk supply. That means you only have to take 2-3 easy to swallow Milkflow capsules per day as opposed to 6 plus capsules with other brands. Get rid of the not so nice tasting breastfeeding drops and teas and switch to Milkflow. Milkflow is all natural, gluten free, Non GMO and does not contain any artificial ingredients or fillers. Take Milkflow capsules and let your breastmilk flow! Breastfeeding mothers sometimes struggle with their breastmilk supply for a variety of reasons. 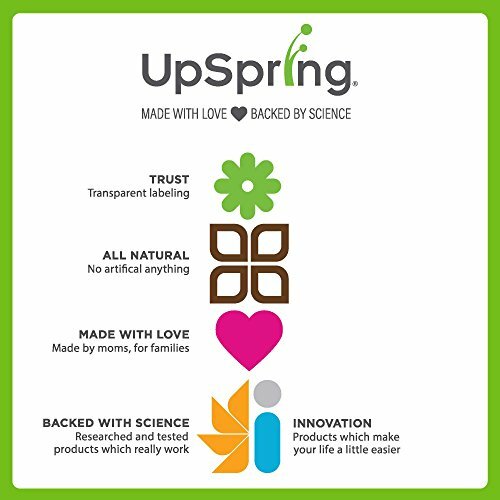 Whatever your concerns are, UpSpring is here to help. Milkflow is a superior blend of beneficial ingredients concentrated to support healthy breast milk production. Why Fenugreek and Blessed Thistle for Breastfeeding? Fenugreek is the most popular herbal remedy for breastfeeding mothers. Historically, Fenugreek and other herbal remedies have been safely used around the world by millions of women to improve milk production and increase breastmilk. 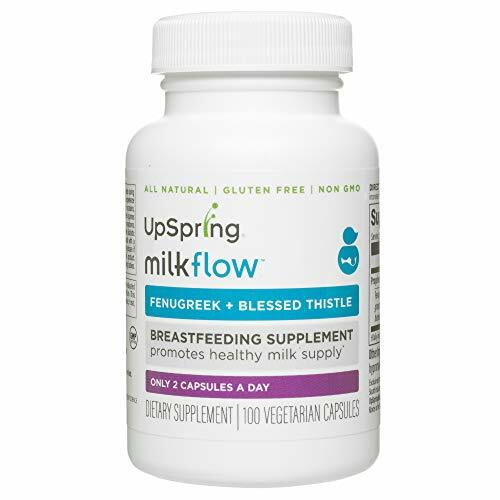 Milkflow also contains Blessed Thistle, an herb with breastmilk-enhancing properties that, when combined with Fenugreek, appears to synergistically boost the desired effects. Some women report that Fenugreek capsules taken along with Blessed Thistle eliminates the mild stomach upset experienced with taking Fenugreek alone. 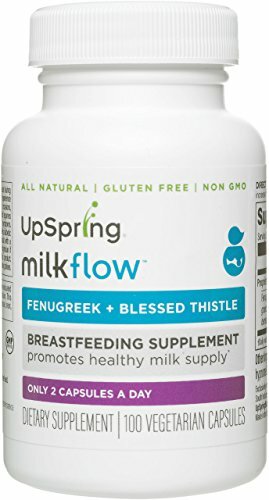 All natural Fenugreek and Blessed Thistle capsules to promote healthy breastmilk supply 2-3 capsules per day deliver a concentrated blend of Fenugreek seed extract, and other herbs, at recommended levels to increase breastmilk supply for nursing moms Our Fenugreek for Women contain NO artificial anything. They are gluten free, Non GMO with no added fillers or artificial ingredients Lactation consultant recommended fenugreek seed capsules for breastfeeding moms. Our gluten free fenugreek pills are easy to take and you only need 2-3 per day unlike others that require 6 a day! Contains 100 vegetarian capsules that are also dairy-free and soy-free. Take 1 capsule 2-3 times a day throughout the day as a lactation supplement. Actual packaging may vary.